Moon Books, see their review. Indeed … I know Piet both as a witch and Pagan Federation Scotland officer. He and his wife Siusaidh have served the Pagan community for many years. This book is in fact a novel and is the story of a young girl Orla who becomes a Priestess or Daughter of Danu. She is born as the daughter of a blacksmith. Her story starts when the Land of Eirinn is suffering neglect … even the animals are depressed as the rains continue day in, day out. In the second half it is her niece and good friend Niamh whose story is told. 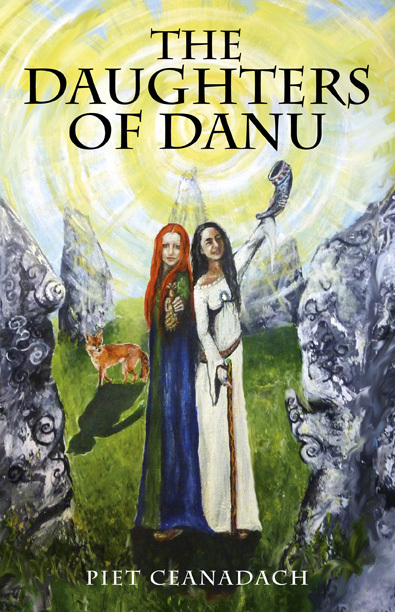 Both girls, although young, are touched by the Otherworld and it is they who are ‘The Daughters of Danu’. This is lovely story and describes the necessity of observing the seasonal cycle, honouring the Spirits of the Land and the practice of seasonal rituals in the true storyteller’s tradition.